We are very happy to announce the appointment of Robert McEvoy, Head of Market Management in Allianz Ireland to the Board of Business to Arts. Allianz Ireland is one of Ireland’s largest non-life insurance providers serving customers across both the Republic of Ireland and Northern Ireland. He is responsible for the development and delivery of customer-centric strategy in Allianz, with particular emphasis on the areas of customer experience and engagement, digital distribution, customer insights, marketing analytics, digital transformation, as well as brand management, sponsorship, and advertising. Prior to assuming this role, Robert led Allianz’ Direct business division for seven years, where he has successfully developed Direct to become a significant and strategically important part of Allianz’ business in Ireland. He has played a leading role in moving Allianz forward in the areas of Digital Distribution, Customer Experience, Content and Mobile Marketing, Advertising, Direct Sales and Operations management. Before joining Allianz, Robert held a range of roles in AIB, working in both the bank’s Resources and General Insurance division as well as AIB’s CRM Strategy and Support unit. 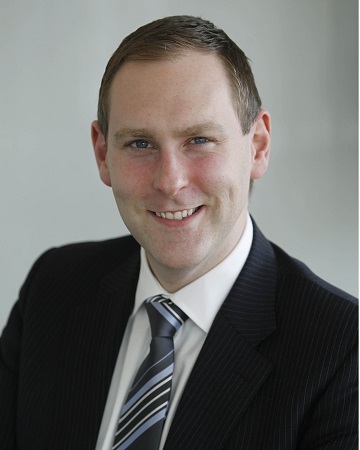 Robert holds an MBA from the Michael Smurfit Graduate Business School in UCD, a BSc. in Marketing and Management from Dublin Institute of Technology, and is also a Qualified Financial Advisor. Allianz Ireland are long-term sponsors of the arts in Ireland and Northern Ireland, and are title sponsors of the Allianz Business to Arts Awards.